If your family has to wait in line to take a shower, or if you're storing pots and pans in the laundry room due to lack of cabinet space, it could be time to consider a home remodeling project. Not only will an updated space make your house more pleasant for you and your family, it can pay off in higher resale value. To find out if your project will add to the resale value of your home, take stock of other houses in your neighborhood. Have many of them been upgraded in the past few years? If everyone on the block has added a bathroom or upgraded their master suite, these projects would be something to consider. On the other hand, you may not want to price your house out of the market by adding a third or fourth garage if that's not the standard in your area. Remodeling Magazine conducts an annual survey that compares construction costs with resale values. Over the past four years, bathroom and kitchen remodeling have consistently shown good returns on investment. In 2005, a kitchen remodel that included updating cabinet fronts; replacing the oven, stove, sink and faucet; adding new paint or wall coverings; and replacing existing flooring recouped 98.5 percent of the job cost at resale time as a national average. Bathroom remodels pay off even better. Updating a bathroom that is 25 years old with new fixtures, tub, and toilet; adding new tile, a solid surface vanity counter, ceramic floor and wallpaper recoups on average 102.2 percent. Of course, you won't want to tackle a home improvement project solely for the resale value, especially if you intend to stay put for a while. A remodel can contribute to a better quality of living for your family while your house increases in value. "Choose an improvement that makes sense for you and your family and one that you can afford," says Maxine Sweet, vice president of public education for Experian, a global information solutions company. To decide if a home remodeling project is right for you, make a list of features that you would like in the room to be renovated, taking into account how you and your family use the space. Consider traffic patterns, lighting and special features you'd like, such as a wet bar or walk-in shower. Next, figure out how much you can spend on the project. You might want to consider taking out a home equity loan to finance the remodel. Because the loan is secured by your home, it will likely have a lower annual percentage rate, and you may get some tax breaks, too. The amount you can borrow is limited by the equity you have in your home. Other factors that may influence the amount you can borrow include your credit history, income and current financial responsibilities. Also, be sure to have a plan for how you will repay the loan. 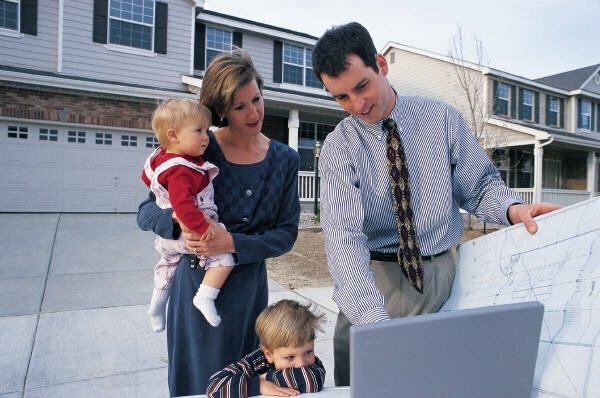 You don't want to put your home at risk or add too much stress to the family budget. To make sure your financing is ready when you are, visit a credit reporting company online such as www.experian.com to quickly and easily access your credit report. "If you notice anything questionable, such as accounts you don't recognize, or payment disputes, deal with those issues before applying for a home equity loan," says Sweet. "It can also be helpful to have your credit score which will tell you specifically the factors in your credit history that could be considered risky by lenders." Finally, get bids from several contractors to see how your budget and the cost of your dream remodel compare. Ask friends, neighbors and co-workers for recommendations, or ask your lender if they're familiar with the contractors you're considering. Another great way to check out a company is SmartBusinessReports, also available through Experian. These business credit reports provide consumers with background information, comprehensive financial information and credit risk facts about the business they are considering using in an easy-to-read, online format. If you would like input from a real estate professional as to whether or not your home improvement project will add resale value to your home or if you are over-improving for the neighborhood, just give us a call at 866-222-0158 #550. We are glad to help. The value of a remodel of a home is LESS THAN what you pay for it. If you pay $20k for an inground pool, you don't get to ask $25k for it. A buyer like me would come in and be like, so it has a USED pool, so you get $5k. This whole nonsense of painting a room and expecting $15k extra is going to fade fast. People don't care because the lenders are giving them an opportunity that they wouldn't normally get (It used to take a downpayment to buy a house). I CAN'T WAIT FOR THE HAMPTON ROADS REAL ESTATE MARKET TO CRASH!!!! Is anyone else just cheering this on!? !